Andbank España is creating a new advisory board with the aim of strengthening the entity’s growth in Spain, contributing to the optimal integration of the bank with the business, professional and social worlds. The board comprises independent members with wide experience and recognised prestige in business, who will contribute to defining the bank’s long-term strategic goals in order to continue growing in Spain and improving customer service. Daniel García Pita will chair this new consultative body, which will include Carlos Martínez de Campos, current Chairman of the Board of Andbank España. Madrid, 3 April 2018. Andbank España has created its advisory board, a consultative body to act as a forum for consultation and reflection in the economic, financial and social areas, in order to strengthen its growth in Spain. This new board has been created with the aim of contributing to the optimal integration of the entity in the business, professional and social spheres, help in defining the medium and long term strategic goals, encouraging projects that provide value to society, and advising on any aspect that makes it possible to improve the quality of service to our clients. 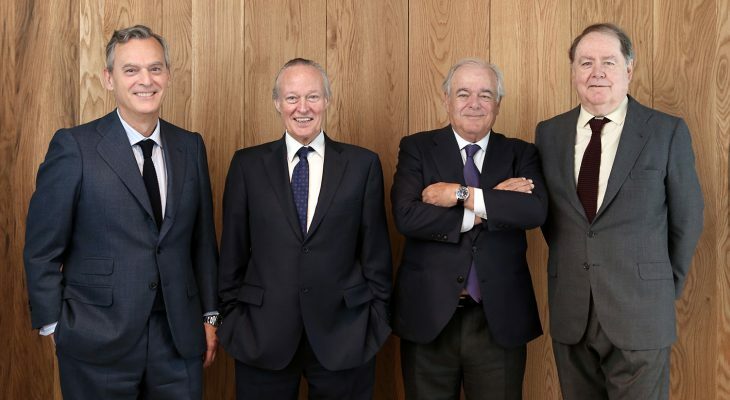 The advisory board consists of Daniel García-Pita, as Chairman, Carlos Martínez de Campos, current Chairman of the Board of Directors of Andbank España, and will include Josep Piqué and Alberto Terol. As well as his outstanding political profile Josep Piqué has wide experience in the business world. He was Industry Minister from 1996 to 2000, Foreign Minister from 2000 to 2002, and Science and Technology Minister from 2002 to 2003. He was also Chairman of the company Vueling from 2007 to 2013 and was later appointed CEO and second Vice-President of OHL. The advisory board will also include Alberto Terol, who has been an independent director in various quoted companies such as BNP Paribas, OHL, Indra, IAG, Aktua Hellas and the Varma group. From May 2007 to October 2009 he was a member of Deloitte’s worldwide Executive Committee as well as occupying the presidency for Europe, Middle East and Africa, and the post of Managing Partner of the worldwide Legal and Tax Fiscal practice. Daniel García Pita, ex-Chairman of the Board of Andbank España will chair this advisory board. García-Pita is a lawyer with over 40 years’ experience in the legal and business sector. He was a partner-director of the Garrigues law firm and Secretary of the board of Indra. Carlos Martínez de Campos, current Chairman of the Board of Andbank España, will also join this new consultative body. Martínez de Campos has an extensive professional background in the financial sector. Before joining Andbank, he was Chairman of Barclays España and later of the Private Banking Advisory Board of CaixaBank. The Chairman of the Andbank Group, Manel Cerqueda, points out that “all the members of the Board have wide-ranging records and recognised prestige in the business world, so they can bring to Andbank the experience and knowledge that are necessary for continued progress towards sustainable growth and constant improvement in services for clients”. With the creation of the Advisory Board, Andbank España take a further step forwards in its commitment to developing the best practices of good government and strengthening its strategy to be consolidated as one of the reference entities in the field of private banking in Spain. Andbank Spain closed 2017 with a business volume of €8.832bn, a growth of 19.6% over the previous year. Also, the bank’s profit grew 36%, to €5.7m. These are the best results since the start of its activity in Spain in 2012. These growth figures are much higher than those of the sector and the incorporation of top-level professionals allows the bank to look to the future with optimism, backed by a unique model of private banking that is based on specialisation, a wide range products and a high level of client service.